Current: What is a Sprint in Scrum? 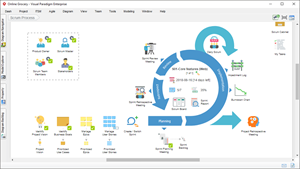 Sprint is one timeboxed iteration of a continuous development cycle. Within a Sprint, planned amount of work has to be completed by the team and made ready for review. Scrum projects are broken down into small and consistent time intervals referred to as sprints. They can be as short as a few days and generally are no longer than 3 – 4 weeks. In Scrum, we typically work in sprints depending on the extent of the overall project. In a sense, one Sprint within Scrum should be a project in itself, with start and finish. We work towards a Sprint goal, we plan, refine, build, deliver, review and etc. During a sprint there is a development team that comprises of cross-functional members who are capable of achieving the sprint goals. This could include software engineers, architects, programmers, analysts, system admins, QA experts, testers, UI designers, etc. There is a sprint planning meeting. The length of the sprint planning meeting is proportional to the length of the sprint. A four-week sprint should be planned in no more than 8 hours. A one-week sprint should be planned in no more than two hours. This meeting determines what the goals are for that sprint. 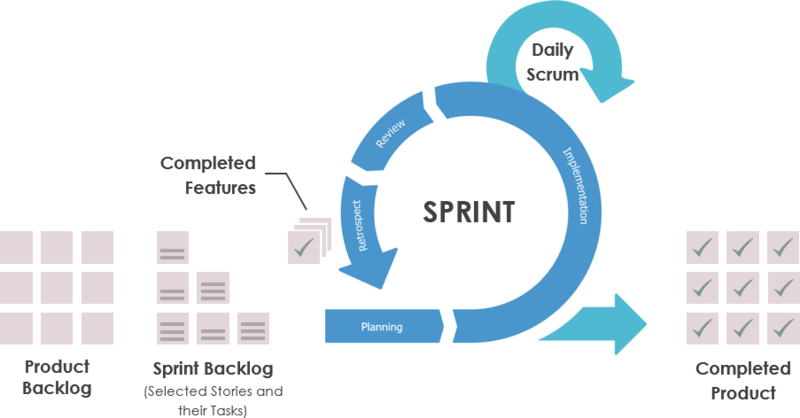 Based on the team velocity, a set of features are pulled from the top of the product backlog to the Sprint Backlog for the coming Sprint. No features are added and the sprint goals don’t change. The only exception to this is if the team finishes a sprint early. The daily scrum (also known as the daily standup, or Daily Scrum) during which team members synchronize effort. 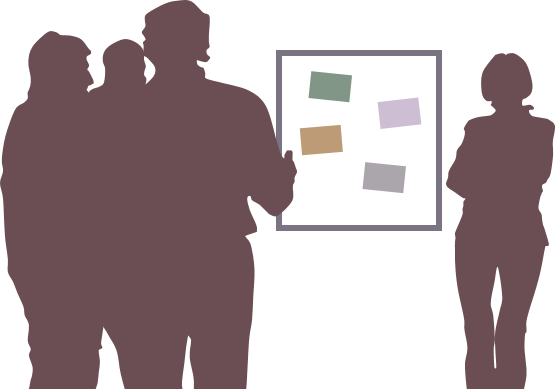 Daily scrums enable team members to ensure the right things are being worked on by the right people at the right time. Every morning of the sprint the project team gets together for a short daily standup meeting (under 15 minute). This meeting takes place at the same time every day and includes everyone on the project. Everyone stands up for the meeting to keep everyone focused and to keep the meeting short. Often a timer is set so that the meeting does not run long. What did I do yesterday to help achieve the sprint goal? What will I do today to achieve the sprint goal? What, if anything is impeding or blocking progress toward the sprint goal? These three questions allow for complete transparency. Everyone on the team is in the loop, and the answers make people accountable for what they say they will deliver. The results of this meeting are typically shared with the client. This daily communication makes sure that if something is holding up the team, they can get a response quickly.